Forgotten Warrios is the story of the aphibious march across the Pacific from the Aleutians to Okinawa from the experiences of shipmates aboard the USS J. Franklin Bell which includes the surprise attack on Pearl Harbor and the following battles: The Aleutian Campaign (Adak, Attu and Kiska); The Solomon Islands Campaign (Guadalcanal, Bougainville); The Coral Sea Battle (Naval Battle); The Battle of Midway (Naval Battle); The Battle for Tarawa; The Battle for Kwajalein; The Battle for Eniwetok; The Marianas Champaign (Saipan, Tinian, and Guam); The Battle for Leyte; The Battle for Iwo Jima; The Battle for Peleliu; The Battle for Okinawa. Refresh your memory with the what, where, when and why for each of these battles, the listing of the Medal of Honor Awardees for each battle, as well as a listing of casualties. Also included are the contributions made by Coast Guard, Submarine Service, and Seabees as well as the women of the USA toward victory over the Japanese in World War II. It seem like we celebrate Normandy every year, which we should, but when have you heard about Peleliu, Tarawa, Tinian etc.During the invasion of Peleliu we had 3201 more casualties than D-Day at Normandy. At Tarawa 2 out of 3 marines never made it to the beach. Admiral Spruance called the invasion of Tinian the most brilliant amphibious operation of WWII. The two fake landings on the most suitable beach on the South caused the Japanese to move their troops in that direction, which allowed us to land on the North less desirable beach, with minimum resistance. I know this for a fact because I was there. The book covers all major battles in the Pacific where statistic shows that when we are compared to our counterparts that fought in the European Theater we were 5 times more likely to be killed; 3 times more likely to be wounded and twice as likely to end up being a POW. We fought a different kind of enemy in the Pacific. If the Germans or Italians were surrounded they surrendered. But, the Japanese would charge with or without a weapon. That explains why our wounded to death rate was 3 to 1. For the Japanese it was the reverse of 18 killed to each one wounded. The book recognized all the Medal of Honor that were awarded in the Pacific with a brief description of why each was awarded. D. Ralph Young was born in central Kentucky in 1925 and was raised on a farm in Lincoln County. He served as a Gunner's Mate on the USS J Franklin Bell for nearly 3 years during WWII. After military service he obtained an engineering degree from the University of Kentucky. He was involved in developing electric power systems all over the USA as well as the Middle-east and South-east Asia. 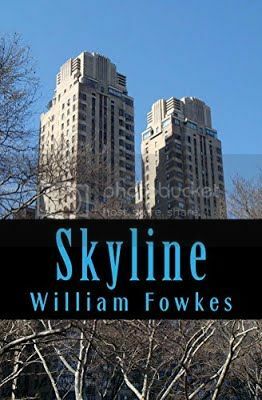 He retired to his place of birth in Kentucky 3 times before really calling it over from an active engineering career to become an author and write 2 books. The Power of a Mothers Prayer and Forgotten Warriors. What happens in the roaring twenties when a daredevil barnstormer falls in love with a wing-walking flapper threatened by dangerous men out to exploit her? Orphan and wing-walker Gloria needs a job when her boss dies in a barnstorming accident. With no other jobs available, she sweet-talks Rand into letting her walk his wing. Flying Ace Rand fights wartime injuries that hamper his flying even as he works to gain the world-record for solo flight across the Atlantic. He bucks his wealthy dad’s plans for him to settle down, join the company, and marry a socialite. Rand falls in love with the courageous, fun-loving, and daring Gloria. But Orphan Gloria’s experienced too many men who promise love and marriage and instead take advantage of her being alone in the world. She holds Rand at arm’s length. Without her knowledge, Rand protects her and makes sure she doesn’t starve. When Gloria’s offered a movie contract Rand knows he must intervene. Gloria swiped a fist across her cheek to wipe the tears and snagged her only dress from a hanger, leaving the small closet empty. “I’ll force myself to be amusing and cheerful. Older men like that.” Anything to improve her chance of getting a job. According to Annie, Rand Maitland had been an ace fly boy during the war. She could trust his acrobatics. She perched on the edge of the sagging bed, pulled shiny, silk stockings just above her knees and rolled in the garters. She stood and slid into the white dress that ended in a shocking way just below her knees. Well, older men liked that too. She’d need every advantage to capture this job. Daisy raised a paw to be shaken. Gloria smiled, bent and shook the furry offering. She didn’t need the auto since Kitty Hawk wasn’t more than five hundred yards or so from Annie’s cottage near Kill Devil Hills, but Mr. Maitland would be more impressed if she drove. He mustn’t know how desperately she needed this job or he wouldn’t hire her. Her high heels tapped a determined rhythm on the uneven linoleum as she crossed the living room. She shut the door behind her and marched down the rickety wooden stairs to the beach. Stepping carefully to keep loose sand out of her shoes, she tiptoed around the cottage to where Annie had parked her Model T before she left for Europe. 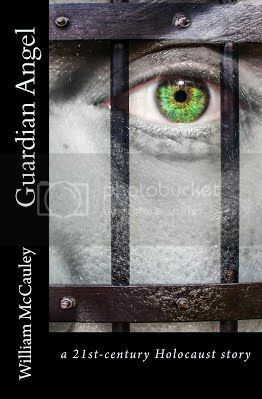 Gloria bent, cupped the crank handle on the front of the car in her palm, pulled the choke wire with her left hand and gave the crank a quick half-turn. The engine sputtered to life. Her shoes slipped on the sandy driveway as she minced on tip-toes around to the driver’s seat and climbed inside. She drove close to the three bi-planes tied down just beyond a cluster of larger cottages on stilts. Too late to turn back. She’d forgotten to apply that new chalk-white face powder that was all the rage. Nor had she painted her lips red. She’d wanted that color to bolster her confidence and hide her pain. She shook her head and shrugged. Well, she had a stiff spine and didn’t need to paint on courage. She pulled up next to the closest home, stopped the automobile, turned off the ignition, set the brake, and slipped out the door. Just off the road, her red high-heels sank into loose sand. “Ain’t we got fun?” she murmured dryly. Her shoes had survived worse obstacles. These red high heels would outlast this setback too. In the slanting morning light, three visiting biplanes cast long shadows. All the other planes, snug inside hangars, waited for tomorrow’s barnstorming show. A man wearing blue coveralls with his back to her, bent over the engine casing of the middle Jenny. Annie had mentioned Mr. Maitland named his plane Jazzman, so that big fella had to be the man himself, right where she thought she’d find him. Taking giant steps through the sifting sand between her and the hard-packed sand beneath the Jennies, she stopped directly behind him. She tugged her red cloche hat low over one eyebrow, held down the silky skirt flapping in the breeze, and straightened her shoulders. “Hello!” She highlighted her voice to sound perky. Older men liked perky. The man grunted, tightened a bolt on the engine with a large wrench and then turned. She started, her hands flew up, and she almost lost her footing. Annie hadn’t mentioned her husband’s youngest brother was gorgeous. He flashed a smile. Dimples played around that dazzling grin and found an immediate place in her heart. He stared at her with eyes bluer than the bluest lapis. And he was no older man. Too bad for her. She pressed her lips together. She’d so counted on Mr. Maitland being older. She’d learned her lesson about handsome men. And she better make sure she remembered it. ANNE GREENE's home is in the quaint antiquing town of McKinney, Texas, just a few miles north of Dallas. Her husband is a retired Colonel, Army Special Forces. Her little brown and white Shih Tzu, Lily Valentine, shares her writing space, curled at her feet. She has four beautiful, talented children who keep her on her toes. She's traveled to every location of each book she's written, and each book is a book of her heart. Besides her first love, writing, she enjoys travel, art, sports, reading, sailing, snorkeling, movies, and way too many other things to mention. Life is good. This Bridge to which I am so oddly linked turns 80. FIVE STARS FROM THE MIDWEST BOOK REVIEW What happens in the moments leading up to disaster? "The Bridge of Deaths" follows the story of a true life event of a plane crash shortly before World War II of an international meeting of many individuals. Compiling a work of intrigue based on those who lost their lives and what they may have been seeking. Over eighty fabulous authors, panels and workshops for both authors and readers . . . two amazing parties and a huge signing . . . where in the world can you find all of this awesomeness in one event? This premier author-reader event, in its fifth year in central Florida, takes place September 28 th through October 1 st at the Westin Lake Mary. Indie BookFest is the only non-organization- affiliated author event to offer a dedicated Industry Day, with representatives from a variety of service companies presenting workshops, participating in panels and meeting with authors. This year, industry reps include those from Written Word Media, Draft2Digital, Robin Reads, Bublish and more. But IBF isn’t simply an author education conference. 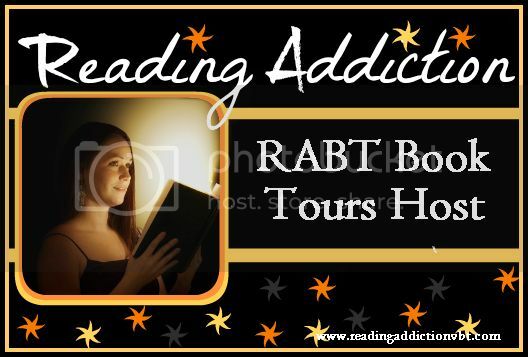 We also offer an entire evening and day of Reader Appreciation panels and presentations—PLUS FanFare, an evening where the authors entertain the readers. And if that wasn’t enough, there’s also a three-hour signing that is free and open to the public, on Saturday from three to six. --INDUSTRY DAY Ticket: This option provides admittance to and participation in all the panels and workshops offered on Friday, September 29 th . Topics will apply to both new and established authors, as well as to others in the publishing field. This ticket allows attending authors and those interested in exploring the possibility of authorhood to participate in the entire weekend; it also includes FanFare, Reader Appreciation Day participation, the signing and Saturday night party. Thursday night’s Dinner with the Authors is not included. --VIP TICKET: This option provides admittance to and participation in all aspects of Indie BookFest, including access to the entire weekend EXCEPT the Thursday night dinner (available at an additional charge), including the Green Room, all panels, workshops, parties and signings. VIP ticket holders also receive a special VIP swag bag. 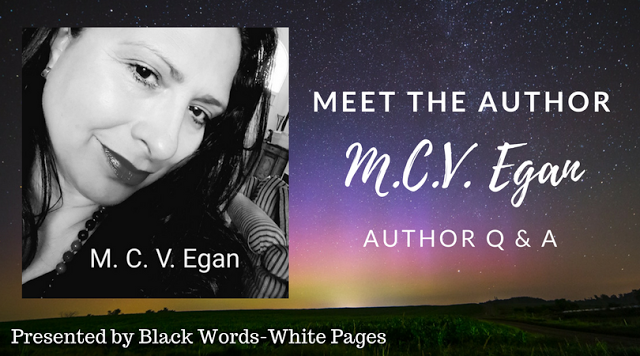 --GENERAL ADMISSION TICKET: This option includes access to FanFare on Friday night, reader workshops and panels on Saturday, the three-hour signing on Saturday, and the Saturday night party, as well as access to the Swag Tables. --YOUNG AUTHOR EVENT: The Young Author session will take place Saturday, September 30, from 9:30-11 AM. Attendees must be under 18 to attend. A panel of authors will lead the workshop, which will explore all nuances of writing and publishing a book. Very Important: This is an add-on ticket to the main event. You must purchase either a general admission/VIP or Industry Day ticket to add this event. -- THURSDAY NIGHT DINNER WITH THE AUTHORS: Join authors from Indie BookFest 2017 as we kick off the event with a lovely buffet meal in a beautiful setting. For more information and to purchase tickets, visit our website and Eventbrite page. How The U.S. Got So Many Confederate Monuments August 17, 2017 By Becky Little Bas-relief sculpture of three of the leaders of the Confederacy on horseback: President Jefferson Davis, General Robert E. Lee and General Thomas "Stonewall" Jackson. 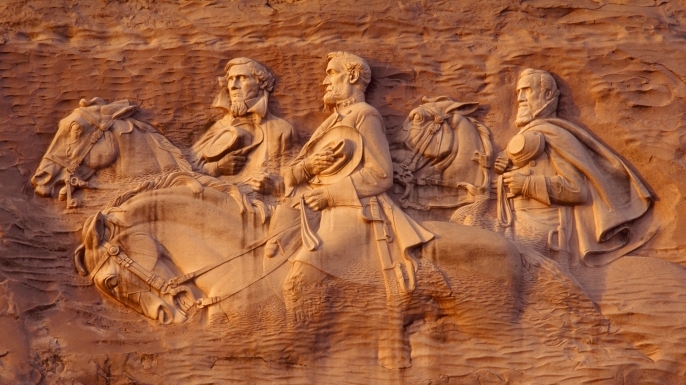 Their likenesses are carved onto the side of Stone Mountain, the largest granite outcropping on earth. Print Cite Facebook Twitter Google While every statue in every town has a different origin, taken together, the 700 Confederate monuments in the United States tell a national story. Commemorations of those on the losing side of the Civil War, some are a lot newer than one might think. According to the Southern Poverty Law Center, which compiled a list of these monuments last year, these monuments are spread over 31 states plus the District of Columbia—far exceeding the 11 Confederate states that seceded at the outset of the Civil War. Most of these monuments did not go up immediately after the war’s end in 1865. During that time, commemorative markers of the Civil War tended to be memorials that mourned soldiers who had died, says Mark Elliott, a history professor at University of North Carolina, Greensboro. When Satyavati, wife of Rishi Ruchik, exchanges with her mother the magic potion for bearing a child, they change not just their children’s destiny, but also the history of mankind. Born of this mix up is Vishwamitra, the son of a Kshatriya, who strives to become a Brahmarishi—the ultimate and most powerful of all Gurus. Vishwamitra is the powerful story of a brave but stubborn, haughty yet compassionate, visionary king of Aryavarta who not only acquires material wealth through military conquests but also becomes one of the most well-known sages of all times. If you have ever wondered if the ancients had any knowledge of space & science, you should check out Vishwamitra, the story of the man who created an entire new star system! If you like reading romance, take time to check out this unlikely love story between a human and an Apsara! Did you know Vishwamitra & Menaka lived together for ten long years? 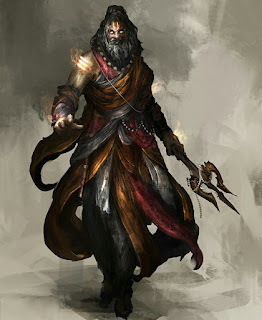 If you like reading stores that inspire - check out Vishwamitra, the story of an ordinary man who even dared to challenge the gods! 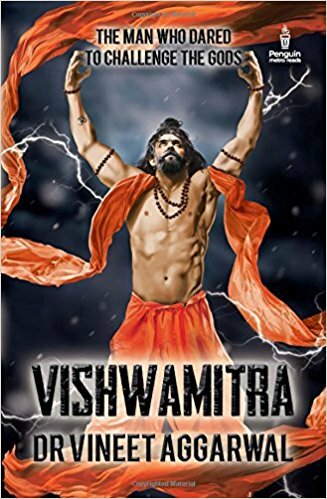 If you have liked any retelling of India's original epic Ramayan, you should check out Vishwamitra - the story of the man who became the guru of Rama, the Scion of Ikshvaku! 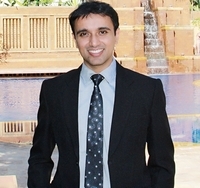 Dr. Vineet Aggarwal is described by many as a doctor by qualification, manager by profession and artist by temperament. Born in a family of doctors, he successfully completed an initial stint with the family occupation before deciding to venture into pharmaceutical management and currently pursues writing and photography as a passion. Winner of the Pinnacle Award 2016 for Biographical Fiction, the Feathered Quill Award 2017 for Spiritual/Religious Fiction, and a Foreword INDIES Award for Military/Wartime Fiction. Balian has survived the devastating defeat of the Frankish army at the Battle of Hattin, and walked away a free man after the surrender of Jerusalem, but he is baron of nothing in a kingdom that no longer exists. Haunted by the tens of thousands of Christians now enslaved by the Saracens, he is determined to regain what has been lost. 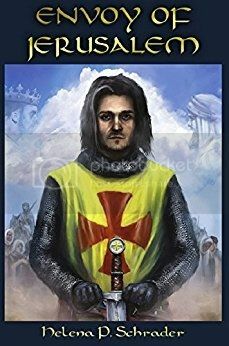 The arrival of a vast crusading army under the soon-to-be-legendary Richard the Lionheart offers hope -- but also conflict, as natives and crusaders clash and French and English quarrel. Balian, the landless son of a local baron, goes to Jerusalem to seek his fortune. Instead, he finds himself trapped into serving the young prince suffering from leprosy, an apparent sentence to obscurity and death. But the unexpected death of King Amalric makes the leper boy King Baldwin IV of Jerusalem, and Balian’s prospects begin to improve. The Byzantine princess Maria Comnena is just thirteen years old when she arrives in the Kingdom of Jerusalem at her great uncle’s orders to cement the alliance between the two Christian kingdoms in the East. The child wife of a man almost three times her own age, she is despite her excellent education and intelligence little more than a pretty doll in the eyes of her husband. When she fails to produce a male heir for the desperate king, her marriage becomes a gilded prison. Until suddenly the king is dead and Maria finds herself a wealthy widow at just twenty years of age. Meanwhile, the charismatic Kurdish leader Saladin has united the forces of Islam and vowed to drive the Christians into the sea. While King Baldwin IV—and Balian—struggle to save the Holy Land for Christendom by whatever means they can, the internal rivalries of Templars and Hospitallers, the advocates of offense and defense, and the bitter rivalries of barons threaten to tear the kingdom apart. The Christian kingdom of Jerusalem is under siege. The charismatic Kurdish leader, Salah ad-Din, has succeeded in uniting Shiite Egypt with Sunnite Syria and has now declared jihad against the Christian kingdom. While King Baldwin IV struggles to defend his kingdom from the external threat despite the increasing ravages of leprosy, the struggle for the succession threatens to tear the kingdom apart from the inside. In the high-stakes game, one man stands out for his loyalty to the dying king, the kingdom, and Christianity itself. That man is Balian d'Ibelin. This is the second book in a three-part biographical novel about Balian d'Ibelin, who defended Jerusalem against Salah ad-Din in 1187. The first book in the series, Knight of Jerusalem, was a finalist for the 2014 Chaucer Award for Historical Fiction and a B.R.A.G. Medallion Honoree. Helena P. Schrader earned a PhD in History from the University of Hamburg with a ground-breaking biography of a leader of the German Resistance to Hitler. She has published numerous works of fiction and non-fiction since. Her Jerusalem Trilogy, set in the Holy Land in the late 12th century, has won critical acclaim. Markus Simmons, a 13-year-old 8th-grader, wants to hang with the cool kids. When his social studies class begins a Holocaust project, some A-listers befriend him to get him to work with them so they can have access to his Oma, who was in Auschwitz, and he discovers that there are Holocaust deniers in the world, one of whom is in his class. Then someone identifies his Oma as having played a criminal role during the Holocaust, and he has to reconcile his love for his grandmother, his desire to work with the cool kids, and his anger at the deniers and the others who attack his grandmother. 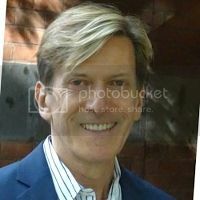 William McCauley was born and grew up in the Northern Virginia suburbs of Washington, DC, in a delightful little town called Vienna. His B.A. in German and M.A. in English are from George Mason University, and at the ripe old age of 29, he "ran away from home" to do doctoral work in linguistics at the University of Colorado in Boulder. After two years, his Wanderlust attacked again, and he trekked on down to Miami, FL, where he did more doctoral work at the University of Miami. Then the powers that be at The German School Washington, where he had taught English for six years, tracked him down and asked him to come back. That brought him back to the DC area, where he taught at the German School for another eighteen years. He finished his career in education at the end of school year 14-15, retiring after ten years as a Gifted and Talented Education specialist with Howard County Public Schools in Maryland. Now all he wants to do is write – and read.